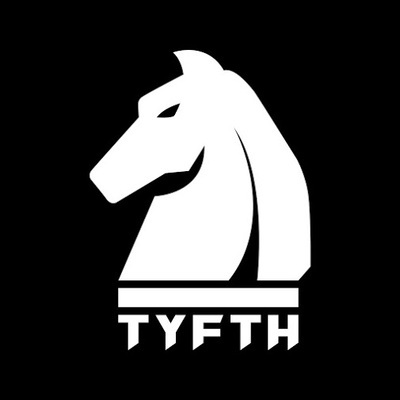 I have around half a set organised, but the next TYFTH Live isn&apos;t quite ready yet. Look out for it in March! @Sherkel Strange, nothing&apos;s showing up behind the scenes, as far as I can tell... I guess the first thing to try would be an alternate title, but if it keeps playing up then I can have a try at posting it too. Big thanks to everyone who joined me for the Alek-only set last night. It was really enjoyable as usual and it feels good to have managed a stream at shorter-than-usual notice. The video will be up on YouTube, with tracklist, asap. After some more practice I&apos;ve decided that this weekend&apos;s stream will be an Alek Szahala-only set. As well as working on transitions for the eventual, longer, Alek-only set, I&apos;ll be taking the chance to play some less-commonly heard tracks. Already decided on the opening for next week&apos;s stream, as well as a couple of mid-set tracks. @Jambato Thanks for the help! I saw some twitter talk of the meetup, and I&apos;ll be dropping them a line soon. @Jambato And I&apos;ve actually just been considering the same, if they&apos;d be willing. One favourite track of the year: Yuuhei Morita & Neoform - V.P.N. In the meantime, have been meaning to mention this excellent #goatrance track from Khetzal. The other tracks on the comp are hit and miss, but this could be one of his best ever. Mostly AFK until early next month, but will try to get a post up in the next day or so. @Sherkel Apologies as usual for it not working out. I&apos;m away from Tokyo right now, but even if it&apos;s at short notice I&apos;d like to get some streams going early next month....fingers crossed, again. @Sherkel First in a series of late replies, sorry! The intro is really an E&C tribute to Betwixt&apos;s style, and some files were even exchanged in the early days of the tune. Such a shame it didn&apos;t get beyond the &apos;obvious influence&apos; stage to become a proper collab. The original version of Distant Illusions started life as a possible Epyx & Cyrez and Betwixt & Between collaboration. Haven&apos;t quite managed a TYFTH Live before the end of the month, but pencil in an NRG stream next weekend. Will update with day/time asap.